Double pass has been assessing and supporting the USSF Development Academies of MLS and non MLS clubs in the season 2015-2016. MLS Soccer clubs’ owners often question whether youth development must be seen as a return on investment rather than a cost. 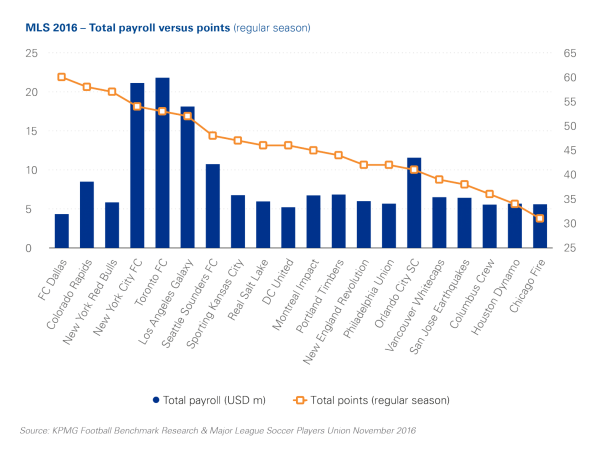 The graph below from KPMG Football Benchmark shows that FC Dallas had the most points in the regular MLS 2016 season whilst having the lowest payroll of all MLS clubs. When we dig one step further, we see that FC Dallas is achieving this sportive success by integrating own Academy developed players in their first team. FC Dallas is one of the best in class in our assessments of home-grown player productivity (=the number of players developed in the own academy transitioning to the 1st team). Eight home-grown players played at least three games as starter or substitute over the last three seasons. 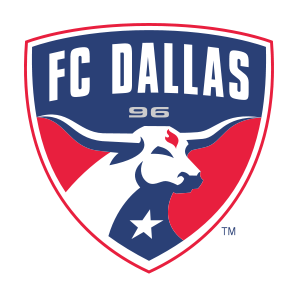 Knowing that the average for the whole MLS is three players per club, this underlines the strong vision and plan with regard to talent development of FC Dallas. And, this is clearly paying off for the first team! We share these data with the permission of the respective club.